These are good templates for writing a demand letter in your case. There are a lot of articles on-line about how to write a good demand letter. But most of these “how to write a personal injury demand letter” articles are not just fundamentally useless, but actively wrong. Following useless advice will undermine your case. The size of your demand letter should correlate to the size of your claim. If the case is worth millions, then you want a demand package that fully lays out the nuances of the claim. If you are bringing a legitimate seven figure case, insurance companies are willing to spend the time, actually getting into the weeds of what the case is really about and the details of the victim's losses. But, conversely, if you have $10,000 in medical bills and no permanent injury; insurance companies are rarely going to focus on details outside of the four corners of the medical record for a pre-suit settlement evaluation. 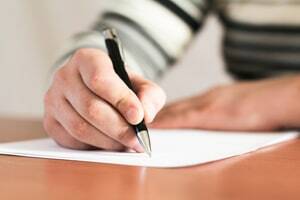 What is harmful in writing a demand letter that is too long? Probably no harm, if you are representing yourself. But if you are an attorney, writing an inappropriately long demand letter that is very disproportionate to the size of the case sends an “I’m an inexperienced lawyer, and I have no idea what I’m doing” alarm. The insurance company will sense that you are out of your depth and will never take the case to trial. The result? You will get a settlement offer that recognizes that there is no chance of a lawsuit ever being filed, and their courage to bluff you to see what you will do will increase. Why? Because if the insurance company knows you will never file a lawsuit, it will expect you will take any settlement you can get. If there is something about your case that makes your claim more valuable, make it clear. This is another reason why writing a treatise is dangerous - you bury what really matters. If you missed your daughter’s wedding because of the accident, or you were a marathon runner who can no longer run because of a herniated disc, this is something you need to effectively communicate to the insurance company. Someone once wrote that good writing does not need bold, underline, italics, or use any other emphasis to make your point. But a demand letter is not the great American novel – you want to add the extra emphasis to the unique facts of a case. You have to work to get their attention. Your settlement demand letter will be reviewed by an adjuster who more than likely will look at several demand letters over the course of a day while plowing through hundreds of pages of medical records. Using bold letters, underlining, italicizing, or using ALL CAPS, or any other emphasis to make your key points stand out when the adjuster would otherwise ignore them. The caveat to this is you cannot go over the top. Do not write a letter with 15 emphasized points. We are talking about one or two key points that you may need to underscore. Listen, I get that many of you out there – both victims and lawyers -- are not looking to file a lawsuit. You just want to settle your case, for as much money as you can, without filing a lawsuit. I get it. But you have to look the part. Sending a demand letter by certified or registered mail is a loud signal that all you are seeking to do is settle the case. In my office, I do not send out demands by certified mail. I do not harass adjusters to respond to our demands (unless my client has communicated a critical need for money immediately). For us, the demand letter is a “we can settle this if you put real money on it, otherwise we are going to come out swinging” event in the case. We love trying cases. But I cannot emphasize enough that if you are not of this mindset, you still have to fake it like you are. The adjuster is going to read the medical records in your case. For all of their failings, insurance adjusters do a solid job of pulling out the critical facts in a demand letter. The most important part of the demand letter is explaining why your case is worth more than the adjuster thinks and worth more than cases with similar medical treatment, bills, etc. There is an exception to this rule - we will get to in a second. Unless you really know what you are doing, making a demand is a mistake. You are either going to make a settlement demand that is too high or too low. Either is a catastrophic mistake. You can mitigate your risk by letting the insurance company make the first move. While a settlement demand before an offer is a bad idea in most cases, demanding the policy limits makes sense if the value of the case is in the same ballpark as the policy limits. You should make the demand subject to a verification of assets and other contingencies you control, so you are not actually locked into the demand. You have to find out what the policy limits are. Most states have laws that allow you to do this. Maryland requires insurance companies to provide this information if the Plaintiff jumps through a series of hoops. Avoid using incendiary language or making wild threats. Do not suggest the possibility of punitive damages unless you are sure your jurisdiction allows them in your particular case. Insurance adjusters deal with over-the-top tough guys every day. They are immune to it. Be clear, be resolute, but check your hyperboles at the door. Lawyers who talk like this are the least likely actually to mean it and every insurance adjuster knows it. Our demand packages make clear that there are some factors – sometimes external to the medical records --- that must be considered and included in the settlement calculus, or the case will not settle. You cannot tell an adjuster you will file suit if you don’t hear back from them by a certain date and then not file suit on that very date. If the insurance adjuster does not know the lawyer or if the victim is representing herself, they tend to discount your bluster. There is no getting around this. But giving them proof that you are all talk is going to be fatal to your effort to maximize the value of your claim. How long will it take to get a response to you demand letter? We did an internal study comparing insurance companies to find answers. The idea that there is a settlement formula based on the total amount of medical bills is nonsense. Still, there is no question that the amount of the victim’s hard economic damages has an anchoring effect of the value of the claim. 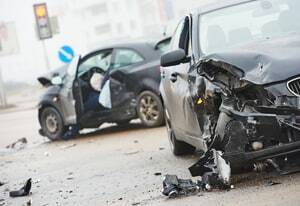 If you have spent or lost just a penny from the result of the car accident or another tort, include it in your demand package with adequate documentation.